Party disagrees with former minister's remarks, says they are working towards an egalitarian society. 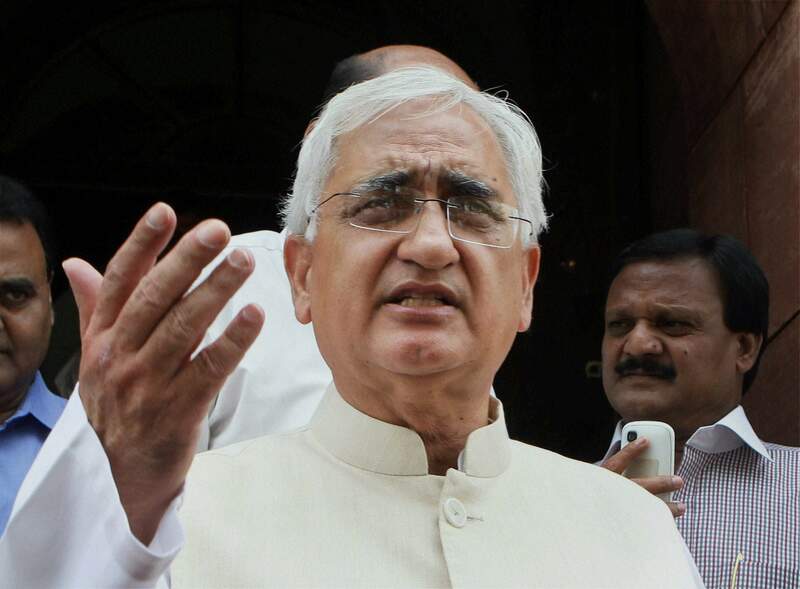 Aligarh: Former Union minister Salman Khurshid’s remarks that Congress party’s hands are stained “with the blood of Muslims” has not gone down well with the Congress. Khurshid made the remark in response to a question put to him by a former student during his recent interaction at Aligarh Muslim University (AMU). The Indian Express reported that Mintoee listed some major riots like the ones at Muzzafarnagar, Maliana, Hashimpura as well as the Babri Masjid demolition that had taken place when the Congress was in power at the Centre and in states. Even while Khurshid agreed there was blood on the hands of the Congress, he also maintained that the Congress’s past history should not stand in the way of the party now protecting Muslims. He went on to advise the students to learn from history, saying, “Learn from our history and understand. And don’t create such situations for yourself where, if you come back to Aligarh University after ten years, you will find no one like yourself asking questions,” he said. However, as his comments stoked a controversy, Khurshid claimed the media has distorted his words. Meanwhile, the Congress party clearly stated that they disagreed with Khurshid’s statement. Party leader P.L. Punia said the Congress was the only party which has worked towards building an egalitarian society by carrying all sections of the people together, including SCs, STs, the poor as well as religious and ethnic minorities. He went on to add that these intrinsic foundational values espoused by the Congress are today under attack from the Modi government. While communal violence has indeed increased over the last three years under the BJP-led NDA government, it doesn’t seem to have reached the levels that were prevalent during the UPA regime. In 2013, the communal riots in Muzaffarnagar, considered to be among the worst incidents of such violence to have taken place, led to the displacement of thousands of Muslims, who are yet to be properly rehabilitated. The 1987 Hashimpura massacre during Rajiv Gandhi’s tenure as prime minister, saw men from the Provincial Armed Constabulary (PAC) gun down at least 40 Muslims in cold blood. Thirty years after the massacre, the UP government last month, filed as evidence a missing general diary recording the names of the PAC men responsible for the killings. The demolition of the Babri Majid on December 6, 1992, which happened during the tenure of a Congress government led by Narasimha Rao, unleashed violence across India, killing over a thousand people. Recent data suggests that instances of riots have not gone down. In 2017 alone, over 100 people were killed across 822 communal incidents, with the maximum number of such incidents of violence occurring in UP.